Rabbi Moshe Walter serves as the Rav of Woodside Synagogue Ahavas Torah and is the executive director of the Rabbinical Council of Greater Washington. Rabbi Walter received semichah from Yeshivas Yitzchok Elchanan (Yeshiva University) and subsequently spent close to a decade learning in various Kollellim in Yerushalayim, with the bulk of the time at the Mir Yeshiva. During that period Rabbi Walter received Semichah as well from two prominent Halachic authorities, Harav Mattisyahu Deutsch, Rav of Ramat Shlomo, Yerushalayim, and Harav Yisroel Ganz, Rav in Bayit V’Gan and Mattesdorf neighborhood’s of Yerushalayim. 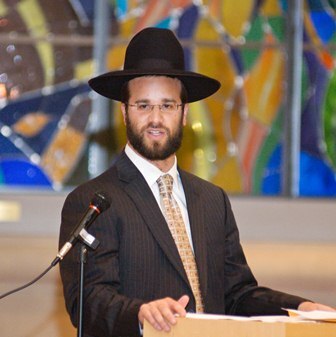 Rabbi Walter is the author of two books of Jewish Law, The Making of a Halachic Decision- A Comprehensive Guide and Analysis to Halachic Rulings published by Menucha publishers and The Making of a Minhag, the Laws and Parameters of Jewish Customs, published by Feldheim publishers. Rabbi Walter is currently completing work on his third book, The Making of a Mentch, the laws of interpersonal relationships. Rabbi Walter has also published articles in the Journal of Halacha and Contemporary Society, Dialogue and Hakira. He is the founder, editor, and a regular contributor to the Bulletin of the Vaad HaRabbanim of Greater Washington, a biannual compendium dedicated to contemporary halachic and hashkafic issues pertaining to the Yamim Tovim, and other important communal matters. Rabbi Walter regularly lectures and delivers shiurim on a wide range of topics including Gemara, Halacha, and Hashkafa. Rabbi Walter’s shiurim are engaging, interesting, and informative, and are popular for their content and clarity with which they are presented. Rabbi Walter makes himself readily available to answer halachic questions, and meets and speaks with congregants about the gamut of issues that they are facing. Rabbi and Mrs. Walter enjoy opening their home to the Shul, and cherish the very close relationships that they build with members. Rabbi and Mrs. Devora Walter are blessed with seven children- Yisroel Yaakov, Tehila, Azriel Shlomo, Tova Bracha, Rivka, Leba, and Eliyahu.